The 10th generation Civic will be the first new car to be launched in our market after the auto policy has been announced. Already seen on the internet, the new Civic 2016 will come with a choice of a 1.8 liter naturally aspirated engine and a 1.5 liter turbocharged engine. 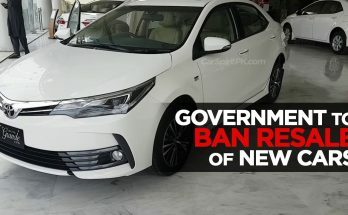 The car is packed with goodies not found on the previously offered 9th generation Civic; however the price tag, according to the unofficial reports as of now, is on a higher side making it out of the reach of many potential buyers. The Civic once an affordable family sedan, which is still so in international markets, has become a luxury item catering to a very specific set of buyers with a strong purchase power. Official launch is expected anytime soon and the car will soon hit the local roads. You might have noticed a ‘limited edition’ emblem on the back of Suzuki’s ever famous Cultus hatchback. And that’s because Pak Suzuki is about to replace the 1000cc hatchback from the 90s with a much modern Celerio. The Cultus has been around for quite some time now, launched back in year 2000 the car has completed more than 16 years of its life in Pakistan but more interestingly it is nothing but a hatchback version of the Margalla sedan which Pak Suzuki had discontinued a couple of years before launching the popular hatchback. Celerio can be a good replacement for the Cultus since it’s a modern car, has a fuel efficient engine and allows easy gear change thanks to the EZ Drive mechanism which will help a lot in driving the car in congested traffic situations. 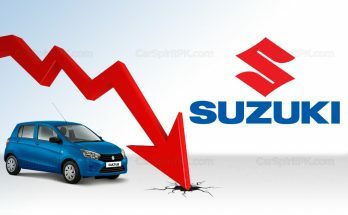 Price so far is unconfirmed but Pak Suzuki will likely place it between the WagonR and the Swift, so a price around PKR 11 lac should be anticipated. 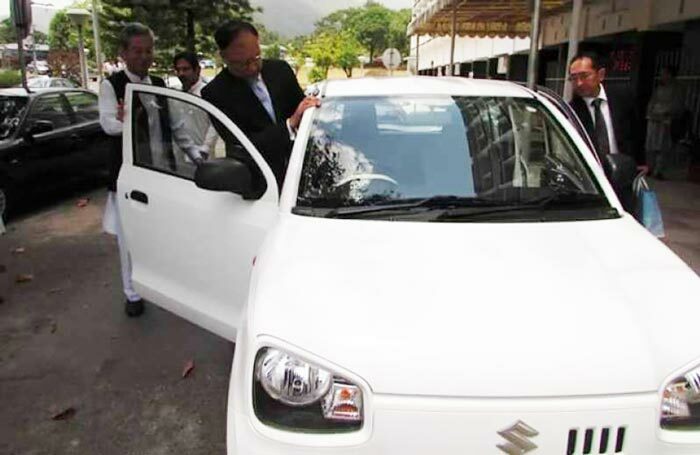 Mr. Ahsan Iqbal, Minister of Planning & Development was seen inspecting the 8th generation Suzuki Alto in some leaked pictures which surfaced the internet few weeks ago. 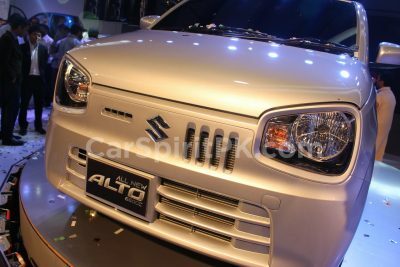 There are rumors that Pak Suzuki will replace the eternal Mehran with the new 8th gen Alto but nothing can be confirmed at this stage. The new Alto is a very fuel efficient car with a 660cc petrol engine and is 60kg lighter than the out-gone 7th gen Alto it replaced in Japan. The new Alto comes with a choice of a 5 speed manual or a CVT transmission. 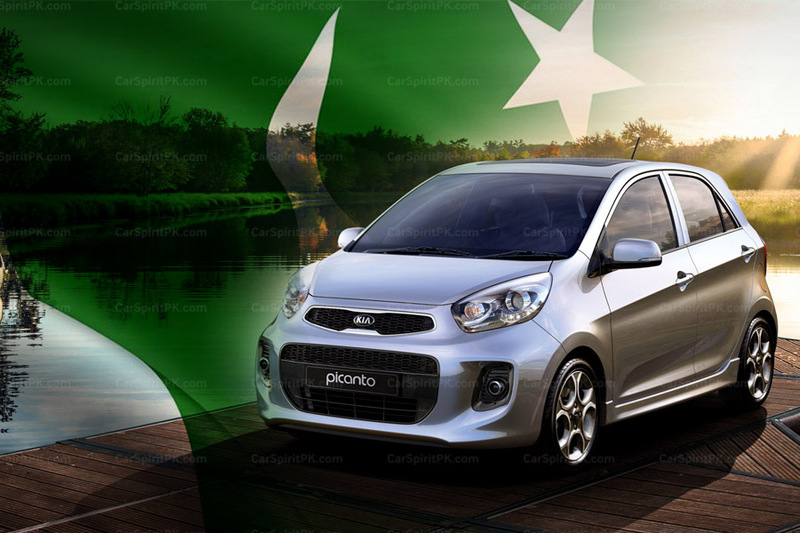 It is unsure if Pak Suzuki will replace an old 800cc Mehran with a modern 660cc Alto, but one thing is for sure that they are working on to bring this car, possibly to compete with the cars that will be offered by the new players government is willing to induct into our market. V2 which is offered by Al-Haj FAW comes with a 1300cc engine and is currently imported as a CBU (completely built unit). A representative from FAW had mentioned earlier this year during the Lahore expo, that a locally assembled V2 with a 1000cc engine will be launched by 2017. A local assembled V2 with a 1.0 liter engine will attract more buyers because of lower taxation and hopefully a relatively lower price tag. The 1300cc V2 with a price tag of just PKR 10.5 lac is currently the best value for money among the vehicles on sale in Pakistan. FAW also offers a 3 year warranty, which makes it an even attractive package. The local assembled 1000cc V2 is sure to take the popularity of the Chinese hatchback to new levels. The B30 sedan is also in the pipeline and will be offered by FAW in coming years. Also on display during the Lahore expo in March earlier this year, the B30 comes with 1600cc engine and being derived from Volkswagen’s PQ32 platform is considered as a derivative of the VW Bora. 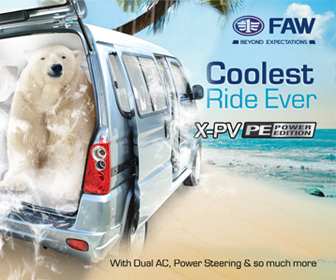 Keep in mind that FAW is a joint venture partner of Volkswagen in China. Whether FAW will launch the B30 as an import or will assemble here locally is unclear, however it will be a very competitive addition in the already expensive sedan segment of our market. In China, the base version B30 starts from RMB 69,800 (PKR 11.15 lac) while the top of the line version goes up to RMB 92,800 (PKR 14.83 lac). 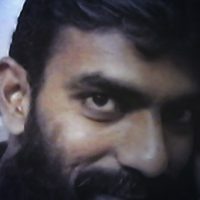 So a price tag around PKR 15 lac will still be quite an attraction since the car comes packed with goodies including Electric Power Steering (EPS), Sunroof, Cruise Control, Multi-function Steering Wheel, Power Windows, Radio/USB/AUX/MP3, Blue-tooth Connectivity, Central Color LCD Screen, Driver, Passenger and Curtain Airbags, ABS+EBD, Parking Sensors, Reverse Camera, Central Locking and Engine Immobilizer, etc. 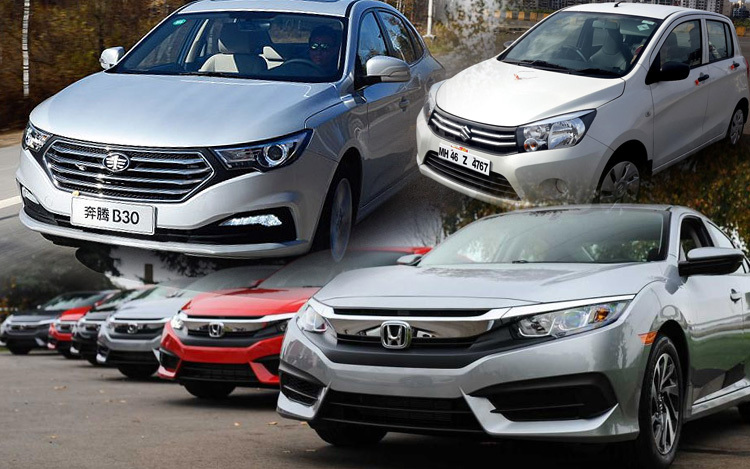 The Auto Policy 2016-21 has opened doors for new players, and Pakistani auto buyers will be getting more options to choose from. Government is more inclined towards bringing European car manufacturers in & Volkswagen, Fiat & Renault have been in talks with the authorities. It will be interesting to see how the existing Japanese trio competes against the Europeans.